Note: I have since started a new blog for all my recipes which includes many pictures: All Natural Recipes. 1. In a large zip lock bag, combine flour and spices. In batches, add beef to flour mixture and toss to coat. Transfer to a plate. In a large non-stick pan, heat the oil at medium-high heat. Cook beef until browned all over. With a slotted spoon, transfer beef to crock pot. 2. Add 1 cup of stock to pan and stir to scrape up any brown bits. Transfer stock mixture to crock pot. Add carrots, potatoes, celery, onion, remaining cup of stock, bay leaves, Worcestershire sauce, and parsley to crock pot. Mix well to combine. 3. Cover and cook on low for 8-10 hours, or on high for 4-6 hours, until vegetables are tender and stew is bubbling. Remove bay leaves and discard. 4. Add peas. Cover and cook on high for 15-20 minutes. Season to taste with salt and pepper. Can thicken with a mixture of cold beef broth or water and about a TB of corn starch. This dish can be made up to 12 hours in advance of cooking. Follow directions and refrigerate overnight in the crock pot. The next day, place stoneware in slow cooker and cook as directed. Or, I usually put all ingredients in the night before except I cook the meat in the morning. Chop up your garlic, onion, and carrot and cut broccoli into florets and wash. Melt 4 TB of butter in heavy medium pot over medium-high heat. Add your broccoli, onion, carrot, and a dash of salt and pepper. Saute until onion is translucent, about 6 minutes. Add the 3 TB of flour and cook for 1 minute, until the flour reaches a blonde color. Add the chicken stock and bring to a boil. Simmer uncovered until broccoli is tender, about 15 minutes. Pour in coconut milk. Transfer soup to an immersion blender (I used my food processor. Needed to do in 2 batches. I’m assuming you could use a blender too.) Puree the soup. Add salt and pepper to taste (I used another dash of each). I had to add about 2 TB of corn starch blended with some cold water in order to thicken it slightly. This made about 4-5 servings. Next time I am going to double the recipe and freeze individual portions (about 2 cups). I freeze my soups in large glass mason jars. Just leave enough room at the top for expansion. The only problem with using these jars is you have to remember to take one out the day before you want to use it, or else you need to run it under hot water for a while to defrost it enough to get it out of the jar to reheat in a saucepan on the stove. It’s not good to put hot soup in plastic containers. They leach chemicals into the food. .
*I adapted this recipe from http://www.foodnetwork.com/. 1. Place flour and eggs in separate shallow bowls. Dip chicken in flour then eggs. Place in a greased 13x9x2 baking dish ( I grease with melted butter). Combine the Parmesan cheese, bread crumbs, and butter. Sprinkle over the chicken. 2. Loosely cover baking dish with foil. Bake at 375 for 20 minutes. Uncover, bake 5-10 minutes longer or until top is browned. 3. Meanwhile, in a bowl, combine the remaining ingredients. Spoon over the chicken. Return to oven for 3-5 minutes or until tomato mixture is heated through. I make this with some fusilli noodles (365 Brand from WF) tossed in a mix from Tastefully Simple. (Not approved). It is called Dried Tomato, Garlic and Herb Pesto. Follow the directions on the bottle. Sometimes I make this earlier in the day and then put in the fridge until dinner time. Just don’t put the tomato mixture on yet. Leave that in a separate bowl. CC (Comments from Cody): Watch out for hard parts to chew. Combine all of the ingredients in a zip lock bag. Makes the equivalent of 3 packets of commercial or purchased Fajita Seasoning Mix. I usually use about 1 ½ TB of seasoning mix for every 2 chicken breasts. Use more or less depending on how spicy you want it. This tastes kind of like a taco seasoning mix, but it’s good with chicken too. I cut some chicken breasts into strips, then place in a hot pan with about a TB of olive oil. Brown chicken, then add seasonings. Add a TB or so of water to mix. I make this with Spanish rice and serve on top of rice and lettuce. Or use Azteca flour tortillas or Tostitos chips. *I got this recipe from Kim Z. from the Feingold board. Place thawed chicken breasts in the oven with some chicken broth over them and cook for about 30 minutes. Sometimes I add some poultry seasoning to the chickens, or salt and pepper. Meanwhile, melt 1 stick of butter in saucepan. Add the flour to make a roux (make it thicker) and stir till smooth. Gradually add the chicken broth (2 cups) and milk (1 cup). Stir till thickened. * Add the salt and pepper. When chicken has about 25 minutes left to cook, start boiling water for the egg noodles. You’ll have to cook them about 8-10 minutes. When chicken is done, take out and cut into small bite size pieces. I drain the broth from the pan and clean it out, then use for the casserole. Be careful – it’s hot. Combine sauce, chicken and noodles in non-greased casserole dish. Sprinkle parmesan on top (optional) and bake in pre-heated 375 degree oven for 10-15 minutes till top is crusty and bubbling. Sometimes I add cooked peas to this, and/or cooked carrots too. My son is really picky, and he likes this recipe. I also sometimes add a minced garlic clove before I put everything in the oven. *If it still hasn’t thickened in time (if you use rice milk), take about ¼ cup of cold water and add a little bit of corn starch. Adapted from a recipe off the Feingold board from Sheila in KY.
CC (Comments from Cody): Give kids napkins. Combine all the dry ingredients in a bowl. (I put at least half of this into a zip lock freezer bag and save in the freezer.) In another bowl, melt the butter. Cut chicken into chicken nugget size cubes. Dip chicken in butter then in crumb mixture. Place in a greased baking pan ( I grease with some of the melted butter). Bake uncovered at 400 degrees for 15-20 minutes. I do at least 20 minutes in a glass baking dish. I make with fries (365 Brand shoestring fries) or 365 Tator Tots (from Whole Foods), and green beans. My son claims he doesn’t like these, but he eats them. I think it’s because he expected them to be more like regular chicken nuggets that he could eat with his hands. These are too messy for that. I think next time I’ll just cut it up and tell him it’s chicken. Everyone else likes them. CC (Cody’s Comments): You might want to use a fork. Preheat oven to 400 degrees. Combine the dry ingredients in a food processor or blender. Place a portion of the crumb mixture in a shallow bowl. (I put at least half of the crumb mixture into a zip lock freezer bag and save for later use.) In another bowl, put the oil. Cut chicken into chicken nugget size cubes. Dip chicken in oil, then in crumb mixture. Place nuggets on a pan lined with aluminum foil that has been brushed lightly with oil. Bake at 400 degrees for 15-20 minutes until cooked through. I usually do 20 minutes. These reheat nicely (400 degrees for about 10 minutes). Let any leftovers cool, then freeze in a zip lock freezer bag and reheat in the oven when ready to eat. Apricot Dipping Sauce: 1 jar of apricot jam, 1 TB lemon or lime juice, 1 tsp horseradish. Heat jam to soften. Add other ingredients and stir. Refrigerate any leftovers. You can also use Agave blue nectar syrup for dipping or ketchup (we use 365 brand or Heinz Organic). I serve with Ian’s Alphatots or 365 fries. *I’ve also made these with Erewhon brown rice cereal and added 1 tsp of sugar to make it a little sweeter. This is a gluten free cereal. Not for certain they are FG approved, but probably. I like this nugget recipe the best out of the two, though it’s a little more work. I double the recipe and save for later use. *I got this recipe from “Special Eats” by Sueson Vess. Meanwhile, combine warmed spaghetti sauce, ½ tsp garlic salt, and ½ tsp oregano. I use my mom’s homemade spaghetti sauce, but there are several approved ones. Spoon over cooked chicken. Sprinkle with ¼ cup of remaining parmesan cheese and mozzarella. Serve with spaghetti or mostacciolli. We use 365 brand fusilli noodles from Whole Foods but most pasta noodles are OK. I make my son’s without spaghetti sauce and my daughter likes to dip her’s in sauce. * I got this recipe from Taste of Home 2001 Quick Cooking Annual Recipes. Mix the flour with paprika, salt, and pepper in a shallow bowl. Dip chicken into mixture and shake off any excess. Heat oil in a large skillet over medium heat and brown chicken on both sides. Remove and keep warm. Add the wine and water to the pan. Add lemon juice and stir until sauce thickens slightly. Return chicken to the pan and meld flavors of the sauce with the chickens. Serves 6-8. I make this for the adults. My kids can’t do grapes and wine is a big yeast feeder, but I really like this one. Goes well with thin spaghetti and marinara or alfredo sauce. *I got this from Special Eats cookbook by Sueson Vess. In a crock pot, combine first 11 ingredients. Cover and cook on high for 4 hours. Mix corn starch and broth until smooth and stir into the stew. Cook for another 30 minutes. I usually use 4 chicken breasts in this but you could add more depending on how many you are serving. I make this recipe a lot. My daughter really likes it, but my husband doesn’t. I think it’s good. It has more of a beef stew taste to it, as opposed to a chicken pot pie. I send it in for lunch for my daughter in a thermos. In a large zip lock bag, combine first five ingredients. In a shallow bowl, beat the egg and milk. Add the chicken to the bag and shake to coat. Dip into egg mixture and shake again. Remove from bag and let stand for 5 minutes. Heat about 1 inch of oil in a large skillet. Fry chicken until golden brown on all sides. Reduce heat to medium and cook until a meat thermometer reads 180 degrees; about 15 minutes. I’ve needed to place the chicken in a baking dish once they are browned and put in the oven at 350 for a 10-15 minutes to finish cooking the inside (so that the outside doesn’t get too crisp). I leave in until it reaches 180 degrees, or is cooked through. In a bowl, mix together the seasonings. Sprinkle mixture onto both sides of the chicken breasts. I use about ½ tsp of the seasonings on each side of a large organic chicken breast. How much you use depends on how spicy you want it. I like it spicier, but then my kids won’t eat it. With ½ tsp on each side, they are happy. In a skillet, heat butter and oil over medium high heat. Saute chicken until golden brown, about 5-7 minutes on each side. Turn down the heat and remove chicken and keep warm (put a plate over them). Add the lime juice and chicken broth to the pan, whisking up any browned bits off the bottom of the skillet. Keep cooking a few minutes until the sauce has reduced slightly. Add chicken back to the pan to thoroughly coat with mixture and serve. I like to serve with rice and drizzle some of the lime juice mixture over it. If you don’t have limes or chicken broth handy, you could skip the last part. I double the above recipe, and keep the seasonings in a jar for when I make this. Combine all ingredients and store in a small Tupperware container. Use about 1 TB of olive oil to moisten the meat and keep it from sticking to the grill. Right before grilling, sprinkle the seasoning over hamburgers or steaks on one side only. This is the seasoning they use at Cheeseburger in Paradise restaurants. We use Rudi’s Organic Whole Wheat buns from Trader Joe’s or Whole Foods. Brown beef and onions in butter; drain. Add the water, vegetables, and seasonings. Bring to a boil and reduce heat. Cover and simmer for 20 minutes. Add tomato juice. Cover and simmer for 10 minutes longer or until the beef and vegetables are tender. Discard bay leaves. Yields 8 servings (4 quarts). My mom made this for me in a double batch and combined all ingredients in some huge kettle thing (no idea what to even call it) and cooked it in the oven at 350 degrees for 5 hours, covered with tin foil. It’s really good soup. My daughter loves it. Kind of tastes like a minestrone soup. My mom also said she used a lot more tomato juice than the recipe called for because my daughter loves the broth of soups. Freeze leftovers in individual portions (about 2 cups). This recipe is for a whole rotisserie chicken (about 4 lbs). I get an organic chicken from Woodman’s or Trader Joe’s for around $15-$18. Remove any giblets (they’re usually inside the chicken in a bag), rinse the whole chicken in cold water and pat dry with paper towels. Make sure the legs of the chicken are on top when you place the chicken in the dish and rub the herbs on. The only problem with this recipe is you only get about 3-4 servings out of the average sized chicken. Heat oven to 350 degrees. With butcher’s twine, tie wings and legs to the body of the chicken (you don’t have to do this). Combine the herb rub ingredients in a small bowl and mix well. Rub half of the mixture onto chicken, both on the outside of the skin and just under the skin, on the top of the chicken. With the other half, mix with 6 sliced carrots, 6 red potatoes (peeled and quartered), and 3 medium onions. Place vegetables around the chicken in the pan. I drizzle about 2 TB of olive oil over the whole chicken to allow for more liquid for basting. Bake for 1 ½ to 2 ½ hours, basting every 20 or 30 minutes or until meat thermometer inserted into inner thigh reaches 180 degrees. You do not need to wrap in tin foil. Cooking time depends on the size of the chicken. Let sit for 10-15 minutes before cutting. I bought a plant of parsley ($1.99) this summer and planted it outside and I had fresh parsley all summer. Just cut off what you need, and more grows back in a couple weeks. I save whatever’s left when we’re done eating (the bones, etc.) and throw in a large zip lock bag in the freezer or fridge to use later for making chicken stock. E-mail me if you want the recipe. It’s a bone broth recipe but I can’t tell the difference between regular chicken stock made with all the meat. Sprinkle chicken with garlic salt. In a large skillet over medium-high heat, brown chicken in oil. Drain pineapple, reserving juice. Add ¼ cup juice to skillet and set remaining juice aside. Reduce heat, cover and simmer 6-8 minutes or until juices run clear. Meanwhile, combine honey, lime juice, soy sauce, corn starch, and remaining pineapple juice. Remove chicken and keep warm. Pour honey mixture into skillet and bring to a boil over medium heat, stirring for 1-2 minutes. Add pineapple and heat through. Pour over chicken and serve. I make with rice and sprinkle soy sauce over rice. This tastes kind of like Chinese food. It’s sweet, and my kids actually eat it. I got this recipe from Taste of Home 30-Minute Cookbook. Combine all ingredients in a large zip lock bag. Let sit for at least 1 to 2 hours in the fridge or overnight. Grill or cook on stovetop with a TB of olive oil. (I cook mine on the stove.) Serve with rice. I make the lemon herb sauce below and drizzle it over the rice and chicken. In a small saucepan, bring the chicken stock to a simmer. Transfer to a blender or food processor. Serve atop chicken and/or mix in with rice. I cook this in a crock pot. Brown roast on all sides in a large skillet with about 2 TB of olive oil. This seals in the juices and gives it a better flavor. I place about half of the cut up onions on the bottom of the crock pot and place the browned pot roast on top. Add the other half of the onion, vegetables, seasonings and broth. Stir to distribute spices and until all ingredients are well coated with liquid. Cover and cook on low for 8-10 hours or on high for 4-5 hours. To make gravy – After the roast is done, take out and set on a plate. Strain the cooking liquid into a sauce pan and thicken with corn starch. (Blend 1 to 2 TB corn starch with ¼ cup cold water or beef broth. Stir to dissolve, then pour into hot liquid.) Cook liquid until clear. Add more corn starch to achieve desired consistency. My mom makes this for birthday parties. She uses a pork shoulder and cooks it in the oven, but I used a pork loin roast from Trader Joe’s ($8 for 2 lbs.) and threw it in my crockpot. Both tasted the same. This is really good all by itself, or add barbeque sauce and put on a bun. I just haven’t had time to make a BBQ sauce yet. I did find that 2 lbs didn’t make very much (served about 3-4). Rinse pork and pat dry with paper towels. In a small bowl, combine seasonings. Rub onto pork on all sides. Cover and marinate in the fridge at least 2 hours or overnight. Cook pork in a crock pot on high for 4 hours (or on low for 8 hours), or in a 350 degree oven for 4 hours, tightly covered with tin foil. You’re not supposed to need any liquid (it will create it’s own while cooking), but I sometimes add a little beef broth. When done cooking, strain out the fat in the crockpot drippings. Let the pork cool and then cut off any fat. Then pull parts of the pork off to make shreds of pork and place in a large bowl. If you’re not using BBQ sauce, add some beef broth to moisten the pork, then put it all back into the crock pot to warm the broth. Optional: In a large bowl, combine 2 cups of BBQ sauce and 3 cups of beef broth (I use Pacific). Stir over pork in crock pot and cook 1 hour more on high. You can also just add broth to the pork and let people add their own BBQ sauce, or leave it off. Serve with buns (Rudi’s Organic from WF or Trader Joe’s) or alone. Brown 1 ½ lbs of beef in a skillet and drain off excess fat. Add spices and pepper and onion. Stir in tomato paste and water. Cover and simmer 10 minutes. Makes about 6 sandwiches. Use Rudi’s Organic buns from Whole Foods or Trader Joe’s. *I got this recipe from Amy on the gfcfdiet.com board. I haven’t made this one yet but it sounds good. Combine the first 5 ingredients. Rub over tenderloins. Cover and refrigerate for 2-4 hours. Grill over hot heat for 15 minutes per side or until juices run clear and a meat thermometer reads 160 degrees. Make sure you turn often to prevent the outside from burning. Combine all ingredients. Makes the equivalent of one envelope of taco seasoning. McCormick 1/3 Less Sodium is approved, but it contains corn syrup. I actually prefer this one to McCormick’s. Brown meat, then add spices. Add a little water (maybe ¼ cup or so) and cook for a couple minutes. Use with Azteca flour tortillas or Tostitos. *I got this recipe from Kim Z. on the Feingold recipe board. Cook bacon. You can cook in the oven on a baking sheet that has sides, at 375 degrees for 16-20 minutes, depending on the crispiness you desire. Blot bacon with paper towels and allow to cool, then crumble into bits. Set aside. Cook the potatoes. Wash potatoes and dry with paper towels. Put in oven at 425 degrees for 30 minutes. Take out and pierce with fork 3 or 4 times. Put back in the oven for 30 more minutes. Cut baked potatoes in half lengthwise. Scoop out pulp, leaving a ¼ inch shell. Place potato skins on a greased (I use melted butter) baking sheet. Combine oil, parmesan cheese, salt, garlic powder, paprika, and pepper. Brush over both sides of skins. Bake at 475 degrees for 7 minutes; turn over. Bake until crisp, about 7 more minutes. Sprinkle bacon and cheddar cheese inside skins. Bake 2 minutes longer or until the cheese is melted. Top with sour cream and green onions (optional). Serve immediately. I usually need to double the seasoning recipe. Preheat the oven to 350 degrees. In a bowl, combine the water and cornstarch. Then add the flour, cinnamon, salt, sugar, and butter. Place the sliced apples in a 8×8 baking dish. Pour the cinnamon mixture over the apples. Cover with aluminum foil and bake for 40 minutes, stirring every 10 minutes. Sometimes I set the timer for the first 10 minutes, so I don’t forget to stir them. Serve alone or over vanilla ice cream or on top of pancakes. Combine butter, salt, and cream in a small saucepan. Cook and stir until butter melts. Grease 13×9 pan (I use butter to grease). Place potatoes in pan and pour butter mixture over. Sprinkle with cheese. Bake uncovered 45-55 minutes or until the liquid is almost all gone. Let stand for 10 minutes to thicken. I found a bag of TJ Farms brand potatoes at Woodman’s and the ingredients were just potatoes. I’ve also just cut up 3 large potatoes into small 1-inch cubes before too. For more texture, add about ½ to ¾ cup of crushed corn flakes (any from Whole Foods or organic section of grocery store), mixed with a tablespoon of melted butter. Sprinkle over the top of potatoes before putting in the oven. Or, add some shredded cheese to the top during the last 10 minutes of baking. Bring potatoes and whole garlic cloves to a boil. Reduce heat, cover and cook for 20 minutes. I remove the lid slightly to let steam out. Watch carefully or it will boil over. Drain, reserving 2/3 cup of the cooking liquid. Mash the potatoes with a masher. Add 2 TB oil, 1 tsp of salt, and a pinch of pepper, and the reserved 2/3 cup of liquid. Stir until smooth. Yields 4 to 6 servings. I also add about 3 to 4 TB of butter and if you want to add milk, use a little less water. CC (Cody’s Comments): Eat it with a spoon. Wash potatoes and cut into quarters or eighths. Melt butter and add olive oil. Then add all the seasonings. Toss potatoes in mixture. Place in a 9x 13 baking dish. Cook uncovered at 375 degrees for 45-50 minutes, or until potatoes are tender. Stir potatoes about half way through cooking time. I’ve made these with just salt, pepper, and paprika before too, so if you don’t have one of the spices, just omit it. CC (Cody’s Comments): They’re usually hot for a long time. In a large skillet brown rice in olive oil on medium-high heat. Add onion and garlic. Cook onion rice mixture, stirring frequently, about 4 minutes, or until onions are softened. In a separate sauce pan, bring stock to a simmer. Add tomato paste, oregano, and salt. Add rice to the broth. Bring to a simmer. Cover and lower heat and cook 15-25 minutes, depending on the type of rice and the instructions on the box. Turn off heat and let sit for 5 minutes. I make this when I make chicken fajitas. Sometimes I make regular white rice and mix it with the Spanish rice to stretch it farther. In a saucepan, combine the dates, 2/3 cups brown sugar and 2/3 cups of orange juice. Bring to a boil. Reduce heat, simmer, uncovered for 3-4 minutes or until thickened and dates are tender, stirring constantly. Remove from heat; stir in 3 tsp of vanilla. I mash these up till they’re more smooth instead of clumpy. It works best if you use a mixer. In a large bowl, combine the flour, oats, brown sugar, cinnamon, baking soda, and salt. Cut in butter until crumbly. Press half into a greased (I use butter) 13×9 baking dish. Carefully spread with date mixture. Stir in walnuts into remaining crumb mixture. Sprinkle over filling; press down gently. Bake at 350 degrees for 25-30 minutes or until lightly browned. Cool on a wire rack. Cut into squares. Serve with ice cream if desired. Makes 2 dozen. *I got this recipe from a Taste of Home magazine – Dec. & Jan. 2008. CC (Cody’s Comments): They might make your hands sticky. The addition of the unsweetened chocolate adds a richness and deep chocolate flavor to this frosting. *If you don’t have any, just add an extra 2 tablespoons of cocoa powder. 1. Crush unsweetened chocolate into pieces and microwave on high for one minute. Stir, and then microwave for another 10 seconds and stir. Repeat until chocolate is melted. Add chocolate and shortening to the bowl of a mixer and beat until creamy. 2. Add one cup of powdered sugar, cocoa powder, salt, vanilla and two tablespoons of rice milk. Mix until creamy. Gradually add the remaining 2 cups of powdered sugar and milk. 3. Add more milk or powdered sugar as needed to reach the desired consistency. *I got this recipe from The Food Allergy Gourmet web site. Combine flour, baking powder, and 1/4 tsp salt; set aside. In a saucepan heat 1 cup of the chocolate pieces over low heat until melted, stirring constantly. Beat butter with a mixer on medium speed for 30 seconds. Beat in granulated sugar until combined. Beat in melted chocolate, eggs, vanilla, and mint flavoring. Stir in flour mixture and remaining chocolate pieces. Wrap dough in plastic wrap. Freeze 30 minutes or until firm enough to shape. Preheat oven to 350 degrees. Shape dough into 1-inch balls. (Note: 1 inch balls – this is pretty small). Roll balls in powdered sugar. Place balls about 2 inches apart on ungreased cookie sheet. Bake in preheated oven for 10 to 12 minutes or until tops are crackled. Cool 2 minutes on cookie sheet. Transfer to wire racks. Cool. Makes 4 dozen. These are very chocolatey. If you like chocolate, you’ll like these. *I got this recipe from Kim Z. from the Feingold recipe board. CC (Cody’s Comments): They might be a little messy, so be careful. Note: You will need the following: Candy thermometer & Kitchen Aid Mixer (optional, but helpful), or a hand held electric mixer. Most store bought marshmallows have blue dye. 1. In a Kitchen Aid mixer, combine gelatin (2 envelopes) and cold water (1/2 cup) and let sit. 2. In a small saucepan, combine 2 cups of sugar and 1 cup of hot water. Stir till blended and then do not stir anymore. Boil to a soft ball stage (236-238 degrees). This takes about 20 minutes or so. Use a candy thermometer to check the temperature. Once it gets close to the 236 degrees, watch it carefully, because it will rise in temp very quickly and could burn. 3. Add the sugar and hot water mixture to your Kitchen Aid with the gelatin. Then add a pinch of salt. Beat this together until stiff and white. Takes about 20 minutes or so. 4. Add 2 teaspoons of vanilla. Beat into the mixture. 5. Pour into an 8”x8” pan that has been oiled and dusted with powdered sugar. I dust the top with powdered sugar a few minutes after pouring into a pan. Allow to sit until stiff enough to hold its own shape. Some recipes call for letting them dry out for several hours or even overnight before cutting, but we usually can’t wait that long. At least a couple hours is good. 6. Cut into squares. I oil a sharp knife before and during cutting to make cutting easier. Have kids roll in powdered sugar in a bowl. Let marshmallows dry out some before storing. 7. If you are using for roasting, add an extra envelope of gelatin to the recipe. CC (Cody’s Comments): Make sure you use enough powdered sugar. 3. Combine flour, baking soda, baking powder, and salt in a bowl. Stir, then add to the first mixture. Mix well. 5. Place golf ball sized dough onto ungreased cookie sheet. 6. Bake for 9 minutes or until edges are light brown. Makes 30 cookies. I think it helps a lot to use a good baking pan. If you use one that is dark, you will burn the bottoms if you don’t adjust the cooking time and temperature (lower it by 25 degrees). I got a silver color “air bake” pan that claimed to make the cookies bake more evenly. It works. I also use a cookie dough scooper so that the cookies all come out the same size and thickness. If you don’t use one, make sure you make them golf ball like or they will end up too thin and burn on the bottom. CC (Cody’s Comments): They’re a little messy (when eaten right out of the oven). * I got this recipe from “A Treasury of Top Secret Recipes” book by Todd Wilbur. 9. Add eggs one at a time and beat well. Add vanilla. 10. Combine flour, baking soda, cinnamon, and salt in a small bowl. Stir, then add to sugar mixture. Mix well. 11. Stir in oats and mix well. Stir in raisins if using raisins. 12. Drop by rounded tablespoonfuls onto ungreased cookie sheet. 13. Bake 10-12 minutes or until golden brown. 14. Cool 1 minute on cookie sheet then move to wire rack. Makes about 3 dozen. My son likes these plain without raisins. We also make ice cream sandwich cookies out of them. Allow to cool completely, then spoon some ice cream in between two cookies. Store in a large zip lock bag. If I know I’m making these, I usually slightly undercook the cookies because they taste better. They don’t turn out as good if the cookies are too hard. CC (Cody’s Comments): Eat the ice cream cookies fast or they’ll melt. Heat oven to 325 degrees. Stir peanut butter, sugars, butter, baking soda and powder, and egg in a large bowl until well mixed. Stir in cereal and chocolate chips. Shape dough by rounded tablespoonfuls into balls. Place about 2 inches apart on ungreased cookie sheet. These will spread some. Bake 10-12 minutes. Cool for 5-10 minutes. Make sure you let them cool long enough and transfer to a cooling rack carefully. They’re fragile! This is the first GFCF (gluten and dairy free) treat I made. I had to first get over the fact that I was cooking cereal! These are pretty good, but very crunchy. The kids love them. Combine all ingredients and mix together until creamy. Place small round balls on ungreased cookie sheet at 350 degrees for 16-18 minutes. I make them small. They’re very sweet. Flatten slightly with a fork and make an “X” design. These will spread. Cool on rack. Makes about 24 cookies. These are OK. Good as a dessert in a school lunch, but not good enough for a substitute birthday treat. *I got this recipe from “Taste of Home 30-minute Cookbook”. This will yield enough dough for two 10 inch pie crusts. If you use a pie crust for only the bottom and not the top, freeze the other one for later use. Cut the sticks of butter into ½ inch cubes and place in the freezer for 15 minutes to an hour (the longer the better) so that they become thoroughly chilled. Remove dough and place in a mound on a clean surface. Gently shape into 2 discs. Knead dough just enough to form discs; do not overknead. You should be able to see little bits of butter in the dough. Sprinkle a little flour around the discs. Wrap each disc in plastic wrap and refrigerate at least 1 hour, and up to 2 days. Add filling to the pie. If using the other disc for the top, do the same as above. Cut 4 two-inch slits in the top of the pie so that steam can escape. Cook according to pie recipe. See Triple Berry and Apple Pie recipe. CC (Cody’s Comments): It tastes a lot better with whip cream. *Got this recipe from the Feingold blue book. 2. Beat in egg, lemon juice, and vanilla. 3. Combine dry ingredients, and gradually beat into the butter mixture until well blended. 4. Divide dough into two balls and flatten to 1-inch thickness. 5. Wrap in plastic wrap. Refrigerate at least 2 hours or overnight. Preheat oven to 375. Roll out dough onto floured surface. To reduce sticking, use some wax paper to put over top the dough and roll to 1/8 to ¼ thickness. Remove wax paper and cut with cookie cutters. Decorate with cookie frosting and sugar crystals (optional). I get India Tree sugar crystals from Whole Foods or you can order online. Beat all ingredients together. If using a liquid food coloring, use less water. Add more water to get the proper consistency. CC (Cody’s Comments): If you have sprinkles on it, use a plate and eat at the table. You can buy a pre-made pie crust from Trader Joe’s or Whole Foods or make one from scratch. Take out of freezer and let sit at room temp for an hour before using. Below is the filling and topping. 1. Grease bottom and sides of pie pan with melted butter. Place pastry in pie pan. 2. In large mixing bowl, stir together the sugar, tapioca, and cinnamon. Add the berries and apple slices. Toss gently till coated. Let stand 15 minutes. 4. If using a pie crust as a top, place pastry over fruit and crimp edges to seal. Cut 4 small slits in the crust near center. Cover edges of crust with foil. 5. Place pie on a foil lined cookie sheet to catch any over flow. 7. Remove foil and bake another 30-45 minutes or until pie is bubbling at slits. For a crumb topping: (If you use this topping, you won’t need to dot top of pie with 2 TB of butter in #3 above). Combine the above ingredients. Blend until crumbly, then sprinkle over fruit. Bake as above. Allow pie to cool for a while before cutting. Top with vanilla ice cream (Breyers All Natural Vanilla or Haagen Dazs). Store leftovers in the refrigerator. 1. Cream butter and sugar. Let butter sit out for half an hour to an hour first to soften. 3. Add baking powder and salt, beat well. 4. Beating just enough to mix (do not overbeat), add part of the flour, then part of the milk, repeating 3-4 times until all is mixed in. 6. Bake in greased (I use butter) and floured pan. Cake is done when toothpick comes out clean. *If making a chocolate cake, add 3 TB cocoa or 1 ½ blocks of chocolate, melted. In a large mixing bowl cream butter till light and fluffy. Gradually add half the powdered sugar, beating well. Beat in 2 TB milk and the vanilla. Gradually add the remaining powdered sugar, beating constantly. Beat in enough milk to make frosting of spreading consistency. If adding liquid for color, such as juice from frozen strawberries or raspberries, sub the juice for the milk until you reach the desired color. Note: You can buy a bunny shaped cake pan and plastic googly eyes at Wal-Mart. (craft section). Grease generously with oil and flour. CC (Cody’s Comments): Spread frosting carefully. These are the same as at the mall. I freeze them. Makes a good snack or quick breakfast on the go. These take a little while to make, but they’re not hard and taste just like the real thing. Preheat the oven to 425 degrees. Make a bath for the pretzels by combining ½ cup baking soda with 4 cups of warm water and stir until baking soda is mostly dissolved. Divide the dough into 8 even portions. Roll each portion on a flat non-floured surface until it is about 3 feet long. (Roll back and forth very quickly – this takes some practice). Pick up both ends of the dough and give it a little spin so the middle of the dough spins around once. Make kind of a U with the dough, then make an X twice with the top end pieces. Fold the ends down toward you and pinch to attach them to the bottom of the loop. Holding the pinched ends, dip the pretzel into the bath solution. Place each pretzel on a paper towel for a moment to blot the excess liquid. Place on a baking sheet sprayed with non-stick spray (Pam, or I use melted butter). Sprinkle with salt if you want them salted (Kosher or pretzel salt – we use the salt from store bought pretzels). If you are putting cinnamon sugar on them, do not salt. Bake the pretzels for 4 minutes, then spin the pan halfway around and bake for another 4-5 minutes or until the pretzels are golden brown. Remove and let them cool for a couple of minutes. Brush with melted butter. Sprinkle on a heavy coating of cinnamon sugar if you want cinnamon pretzels. We make 4 original, and 4 cinnamon. Soften cream cheese by letting it sit out for a little while. Mix all ingredients together in a mixer until smooth. Serve with fresh fruit. We like sliced apples. CC (Cody’s Comments): It makes a great bedtime snack. 1. Place popcorn in large microwavable bowl. 2. Make simple syrup (combine ¼ cup of sugar and 1/8 cup of water and microwave for about 30 seconds till sugar is dissolved). 3. Combine syrup, sugar, butter and salt in a 4 cup glass measuring cup. Cook in microwave for 2 minutes. 4. Add baking soda and vanilla. Stir. Pour mixture over popped corn and stir to coat evenly. 5. Cook popcorn on high for 1 ½ minutes. Stir. 8. Pour onto waxed paper to cool. This is very sweet. Use more popcorn if too sweet. CC (Cody’s Comments): Add a lot of caramel if you want it to taste good. You can use your favorite juice or pop to make these. The more flavor the better. The kids like 365 Root Beer (from Whole Foods) the best. Meijers has “Natural Brew Root Beer” in bottles as well, but they are more expensive. We also use RW Knudsen “pop” – raspberry, etc. Sir Strawberry juice from Trader Joe’s would probably be good too. Florida’s Naturals also makes an approved Au’some Fruit Juice Nuggets fruit snacks (at Woodman’s or Target) as does Annie’s. CC (Cody’s Comments): Don’t be freaked out by the spider gummy snacks. *Got this recipe from the Feingold recipe board from Sharon S.
Melt chocolate chips, peanut butter, and butter in a saucepan until smooth. Stir in 1 tsp of vanilla. Pour over 9 cups of cereal and mix well. Cool slightly. Pour into a large zip lock bag with 1 ½ cups of powdered sugar. Shake until well coated. I usually only use 1 cup of powdered sugar. CC (Cody’s Comments): Put a lot of powdered sugar on them. I cut up a couple slices of a peeled apple (usually Granny Smith or any will do) into tiny bits and add to the prepared mix. Then I make a topping as per below. If I have applesauce (Mott’s All Natural), sometimes I add about 2 TB of that too. Combine all of the above except for the powdered sugar, and cut the butter into the mixture until crumbly. Once you have poured the prepared mix with apples into cupcake muffin cups (use tin foil cups instead of the colored paper cups – they leak dye into the food), sprinkle the streusel topping over them. Bake according to the box. Cool, then dust with powdered sugar. CC (Cody’s Comments): They taste really good. Variations: Add a couple slices of a fresh pear diced (I peel the skin). This will add more sweetness to the sausage. Blend all ingredients (including the meat) in a food processor until blended. Do not over mix. (You could also just use your hands). Form into 9-12 small patties with well oiled hands. Saute patties in a large skillet over medium heat with 1 TB of olive oil for 3-4 minutes per side or until cooked through. I freeze the leftovers in a zip lock freezer bag and warm up in a pan with a little bit of oil. Good protein for breakfast. *Another approved sausage we eat is Shelton’s Turkey sausage from WF. I like this one better though because it’s quicker to cook. Shelton’s takes a half hour. For the rolls, dissolve the yeast in the warm milk in a small bowl. In a large bowl, mix together the sugar, butter, salt, and eggs. Add flour and mix well. Add in the milk with dissolved yeast. Dust your hands lightly with flour and knead the dough into a large ball using your hands. Lightly oil a large glass or ceramic bowl. Place the dough in it and cover with a clean hand towel that has been dampened with warm water. Let rise in a warm place for about 1 hour, or until dough has doubled in size. (I turn on the oven to about 250 degrees to warm up, then turn off the oven and put the bowl in. I sometimes have to turn the oven back on for a bit to warm back up during the hour. Roll the dough out on a lightly floured surface. Roll the dough flat until it is about 21 inches long by 16 inches wide and about ¼ inch thick. Preheat oven to 400 degrees. For the filling, combine the brown sugar and cinnamon in a bowl. Spread the melted butter evenly over the dough then sprinkle the sugar and cinnamon evenly over the surface. Working carefully from the top (a 21 in. side), roll the dough down to the bottom edge to make one big roll. Cut the dough into 1 ¾ inch slices (I use dental floss to cut the dough. Wrap it around underneath, then come up, cross it over and pull to slice.) These make big rolls like at Cinnabon. You could make them slightly smaller in width. Place on a lightly greased baking pan (I use melted butter). Let the rolls rise again until double in size (about 30 minutes). I place a wet towel over them again and put in oven like before. Bake in over at 400 for 10-15 minutes or until light brown on top. I think these taste better slightly undercooked. I usually cook them 9 minutes and they’re really soft and gooey. Yum! Combine the icing ingredients. Beat well with a mixer until fluffy. When rolls are done, coat well with icing. Makes 12-16 rolls, depending on how big you make them. If you find yourself with 16 or more, you’ve cut them a little small and you’ll have to watch the cook time. They may burn. Refrigerate or freeze any you don’t eat that day. These reheat nicely in the microwave for 30 seconds or so. To freeze, put on a tray or plate and set in the freezer for about 30 minutes or so till they harden and frosting is no longer sticky. Then, store in large zip lock freezer bags. These are VERY good. They take a long time to make from start to finish, but they’re not hard to make. Make sure you use a good pan though. A dark pan will make the bottoms burn so watch them carefully. I use a silver air bake pan, and it’s nice if you have two. CC (Cody’s Comments): Try not to touch the frosting on it. 1. In a small sauce pan, bring ½ cup of honey, ½ cup of peanut butter, and 1/3 cup of brown sugar to a boil, stirring frequently. Stir on medium heat for a couple of minutes. 2. Add all the other ingredients and stir until mixed thoroughly. 4. Let cool for 30 minutes before cutting. Great snack or breakfast on the go. These have a rice krispy taste and texture to them. You can make these with any ingredients you want. If you use chocolate, add ¼ cup of chocolate chips or less. They will melt down completely. If you want them in whole pieces, wait till they cool completely, then push them on to the top. Put sugar and water into a saucepan. Cover and bring to a boil. When sugar crystals are thoroughly dissolved, add vanilla and Lyle’s Golden Syrup. Stays fresh in refrigerator for weeks. Warm a portion in microwave for 10 seconds before using. Regular pancake syrup contains artificial flavors and high fructose corn syrup and pure maple syrup is very expensive. I’ve made this and the kids don’t even notice the difference. You can also find an organic pancake syrup that would just contain corn syrup and not artificial flavors. We’ve also used Agave Blue Nectar as syrup. It is a low glycemic and doesn’t feed yeast. It has a very sweet taste. This recipe makes enough for 3-4 servings. CC (Cody’s Comments): Try not to touch it because it’s very sticky. We usually use Aunt Jemima Original Pancake Mix, but if we don’t have any, I make from scratch. We top with pure maple syrup, or homemade syrup, powdered sugar, and homemade whip cream. These freeze well. Let cool on a cooling rack, then put in a large zip lock freezer bag. If they start to stick together, put a sheet of wax paper between them. You can also store in the fridge for at least a couple days. Reheat frozen pancakes in the microwave for about 30-45 seconds or until hot. Mix all ingredients with a mixer. Pour about ¼ cup onto hot pancake griddle or pan. I use butter to grease the griddle. Cook until bubbles form and edges are cooked. For waffles, spray waffle iron with Pam. We use the organic, but they’re all OK. Double the oil in the recipe for waffles. We use a Mickey Mouse waffle iron from the Disney store. The kids love these. I sometimes add to the batter slightly thawed blueberries or Ghiradelli chocolate chips. Or top pancakes with fresh strawberries. I got a little glass shaker (like the ones at pizza restaurants for the crushed red pepper) at Bed, Bath, and Beyond to hold the powdered sugar so that the kids could put it on themselves. Cream butter and sugar until light and fluffy. Beat in egg. In a small bowl, combine sour cream, milk, and vanilla. Combine the dry ingredients. Stir into creamed mixture alternating with sour cream mixture until well blended. Gently fold in raspberries. Fill muffin cups 2/3 full. Combine the streusel ingredients except for the powdered sugar, and cut the butter into the mixture until crumbly. Sprinkle the streusel topping over the filled muffin tins. Bake at 400 degrees for 18-22 minutes. If using more raspberries, may need to cook slightly longer. Cool in pan for 10 minutes before moving to wire rack. Dust with powdered sugar. Makes 16 muffins. These freeze well in a large zip lock freezer bag. Take out and warm up in toaster oven or microwave for breakfast or a snack. *I got this recipe from a Taste of Home cookbook. You will need a whip cream dispenser. I got one online from http://www.whip-eez.com/. I got the larger one for $49.99. You will also need to buy the nitrous oxide from them. I get 2 packs of 24 at a time. I started making my own whip cream because we went through so much and it was cheaper to make, and tastes better. But, you can also buy a can of whip cream (Natural by Nature) from Whole Foods. Put whip cream dispenser in refrigerator to chill before making. Combine all ingredients except the heavy whipping cream in a small cup and stir till powdered sugar is dissolved. Pour this and the heavy whipping cream into the whip cream dispenser. Put top on. Unscrew the top part and insert nitrous oxide. Screw cap back on and shake 5-6 times. Take out nitrous oxide and throw away. Insert a second one and shake 5-6 times. Throw away the nitrous oxide. Store dispenser in refrigerator. When pouring out the whip cream, make sure the bottle is completely turned vertically upside down and dispense slowly. You can shake the bottle once before using, but you don’t need to do any more than that. Use on pancakes, waffles, ice cream, hot chocolate, etc. CC (Cody’s Comments): If you put the whip cream on a pancake, make sure you eat it fast or it might melt. Blend all ingredients in a blender or smoothie maker. Put in liquid ingredients first. Stir in any powder vitamins/supplements. We use Barlean’s Greens powder mix, a vanilla rice protein mix, or a kids probiotic powder mix. Combine 1 cup of sugar and 1 cup of water in a saucepan and heat until the sugar dissolves or it comes to a boil. Add this to a pitcher. Add 1 cup of lemon juice (I usually use about 6 organic lemons). Add 3-4 cups of cold water. ( I use 3 ¾ cups.) Stir and enjoy. Most vanilla extract contains corn syrup, unless you buy organic vanilla, which costs about $14 for a small bottle. You can make your own, but it takes several months, and you will need to buy vanilla beans online. 2. Mostacciolli or Spaghetti (We use 365 brand noodles, but most are OK). We use my mom’s homemade sauce, but other approved ones are Muir Glen, Newman’s Own, and Hunt’s Original Spag. Sauce). We make with Mama Bella’s Frozen Homestyle Garlic Dinner Rolls. 3. Steak (season as above recipe, then use Trader Joe’s Organic Steak Sauce). 5. Annie’s Macaroni and Cheese. We like the one where you just add the creamy cheese pouch – similar to Velveeta. Found at any store. 6. Chicken Patty Sandwiches or Chicken Nuggets (Bell & Evans from Whole Foods). Rudi’s Organic Whole Wheat buns. 7. Hot dogs (Applegate Farms Beef Uncured from Trader Joe’s or Woodman’s). Oscar Meyer brand is also approved but has corn syrup. French’s Mustard and Heinz Ketchup(CS) is approved. We use the Heinz Organic or 365 brand from WF to avoid corn syrup. 8. Soups (chicken noodle, tomato, vegetable), spaghettios. All either Trader Joe’s brand, 365 (Whole Foods) brand, or Annie’s brand. 9. Sandwiches – turkey, ham (Applegate Farms) peanut butter and jelly, grilled cheese, bacon, lettuce & mayo sandwich. 10. Tacos – Azteca flour tortillas, lettuce, cheese (365 brand). Vegetables – Fresh broccoli, cauliflower, corn on the cob, frozen green beans, peas, carrots & celery with Marie’s Creamy Italian dressing, corn on the cob. Fruit – strawberries, raspberries, watermelon, cantalope, honeydew, pineapple, apples with fruit dip or peanut butter, grapes, etc. Pizza Hut – Pan cheese pizza. The thin crust and personal pan pizzas have corn syrup but are approved. Papa John’s – Hand tossed cheese pizza. No garlic sauce that comes on the side (has artificial flavor). I have them sub a pizza sauce instead. Domino’s Pizza – Hand tossed cheese pizza. Five Guys Restaurant – Burgers and fries are approved and contain no corn syrup! They just opened one up in Oak Park, IL and they have them in Orlando, FL and the south. We LOVE this restaurant! Awesome food! Note: they cook their food in peanut oil. Chipotle – they aren’t approved yet, but seem OK. They use mostly organic ingredients. We get the chicken burrito with just chicken, lettuce, and rice, and a Nantucket Nectar juice. No chips – they probably have BHT preservatives. Subway –Cheese pizza or chicken strips sub (these aren’t breaded, just little rectangles of chicken) on Italian bread. I have them warm up just the chicken, then add lettuce, mustard, salt, and pepper. The sugar cookies and oatmeal raisin cookies are also approved. Can get Original Sun Chips, Fritos, or Lays Original potato chips. Ice Cream – Hagaan Dazs, Ben & Jerry’s (not approved but seems OK), Vanilla or Chocolate (CS) at both of these places. Cold Stone Creamery – chocolate, peanut butter (CS), peach (CS), cookie batter (CS), banana (CS), French vanilla (CS), mocha, plus a few more..
Einstein Bagels – I think almost all of their bagels are approved but all have CS. We like blueberry or cinnamon sugar. Other burgers are also approved at Wendy’s, Culver’s, Burger King (whopper only), but my kids just like McDonald’s. All contain corn syrup in the buns. If we’re eating out at a restaurant, we try to stick to a hamburger or steak. No fries; usually get broccoli or fruit as a side instead. Coke and Sprite are approved but we usually get water with lemon. 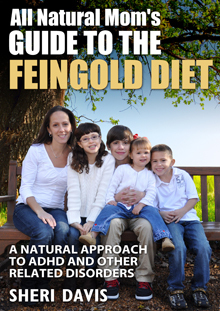 Our family does the Feingold Diet to help deal with behavioral issues such as hyperactivity, aggressiveness, ability to concentrate and focus in school, etc. Removing artificial flavors, artificial colors, and certain preservatives such as BHT and TBHQ, has helped tremendously. We also try to avoid or limit corn syrup (CS) and chocolate due to behavioral issues as well. Whether you avoid these things to combat negative behaviors or not, it is much healthier to stick to all natural, God-given foods. Ingredients in foods can change at any time. This information is as of 2008. There are more foods that are approved, but this is just what we like and it’s possible that I have listed a brand incorrectly, so please double check for yourself. For more information, you can go to http://www.feingold.org/. If you have any questions or comments, my e-mail is sheridavis27@mchsi.com. Below is a list of what we order. There is a lot more, but we can’t do corn syrup and we limit chocolate and stage 2 fruits. Go to http://www.squirrels-nest.com/ and browse. They note if a candy is Feingold stage 1 or 2. Surf Sweet Gummy Worms and Gummy Bears (no corn syrup!) (I found these at WF and on amazon.com) The gummy worms are better and softer than the bears. Sharkies Gummy Snacks (these are kind of like candy). I ordered a box from Amazon.com. I haven’t been able to find these in the stores. B-Fresh Bubble Gum (contains oranges) or Spearmint (http://www.squirrels-nest.com/ or http://www.amazon.com/). Tastes like Bubble Gum Trident. My kids love these. Bonus – they are sugar free and contain a small amount of B vitamins and calcium. Xylichew or Glee gum (spearmint or tangerine) from Whole Foods near the toothpastes. Jelly Belly Naturals (we like Tropical Fruit). 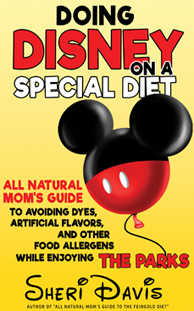 Make sure you get the ones that say naturally colored and flavored. I’ve found at WF, sometimes at Border’s Books, or order online. Lemon balls (these aren’t sour), lemon sticks, lemon lolly pops, peppermint and lemon candy canes. http://www.giambriscandy.com/ I order at Christmas. Pure Fun Candy Canes. I found at Whole Foods or order online. Soft fruit chews (kind of like Starburst, contain CS), in the bulk section on http://www.squirrels-nest.com/. Yummy Earth suckers. www.yummyearth.com/feingold (special pricing for FG members using this web address). Get about 300 suckers for under $30. St. Claire’s Tarts from http://www.squirrels-nest.com/. All the flavors are good. Lime and watermelon are stage 1. You can also order directly from them and get a bulk bag of them. I got a container of tic tac type candy and cleaned it out and filled it with tarts for church or places where they’d be getting candy. Rainbow Unscented shampoo and Bubble Bath (WF). Burt’s Bees chapstick, Vaseline, Whole Foods brands, Kiss My Face, etc. Klean Kanteen – http://www.kleankanteen.com/. Stainless steel sports bottles for lunches (instead of plastic). Also bought the thermal wraps because these sweat. You have to hand wash these with baking soda. Shower and bath balls to remove chlorine from the water. I ordered on http://www.amazon.com/. Lunchopolis lunch box. I got this from our health food store, but you could probably find it online. It’s tall like a construction worker lunch box, and contains 4 tupperware containers, plus a water bottle that all fits inside perfectly. We got a cute pink one with polk-a-dots. Cup-A-Cake cupcake holders. I ordered these online. These are great for bringing cupcakes to school or parties. They keep the cupcake from moving around and messing up the frosting. I take out a frozen cupcake in the morning, and by the time they eat it at school, it’s defrosted. 1. Wally’s Ear Oil – for earaches/ear infections (Whole Foods, GNC, etc.) This works great at the onset of an ear infection. It kills the bacteria and also dulls the pain. However, if it is a bad infection with high fever, you may need antibiotics as well, but we haven’t needed to when using this. If you do need antibiotics, you can go to a compound pharmacist to have them make it without the red dyes and artificial flavors. Ask any pharmacy where the closest one is, and you will need a specific prescription from your doctor for them to make it, so tell your doctor. We found eliminating milk/dairy from my then 15 month old stopped his 3-month spell of ear infections immediately for good. 2. Tea Tree Oil – to treat ringworm, athlete’s foot, and other fungus. 3. Diffuser for essential oils – bought at Whole Foods for about $80, or you can put oil in the medicine area on your humidifier. For colds, we use eucalyptus, peppermint, tea tree (kills germs/viruses in the air), and lavender. 4. B&T Children’s Cough and Bronchial Syrup (Whole Foods or health food store). Or, rub Vick’s vapor rub on their chest. This helps with bad coughs. 5. Tylenol – regular strength plain white adult tablets. For younger kids, you can crush up half a pill and mix it in with one bite of pudding (Kozy Shack chocolate) or other food. Check the Internet for proper dosage by weight. 6. Chamomile Tea – this is an antibacterial and anti-inflammatory, which can be used for tons of ailments. Diarrhea, constipation, sleep aid, calming agent, upset stomach, blocked tear duct in babies (warm soaked wash). 7. Emergen-C – any flavor. 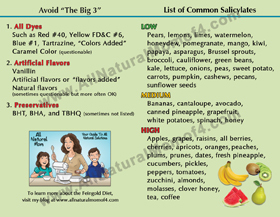 –not approved but seem OK. (Sam’s Club, Whole Foods) These are good for stomach flu or cold. It is a vitamin drink similar to Gatorade. Coke is also good for stomach flu. Take small sips every 10 minutes, but wait until after stomach has settled for at least a couple of hours first. There is something in the cola bean that settles the stomach. Also, open it and let it de-fizz first. Caffeine Free Coke is even better. 8. For fevers, you can get dye free Motrin or Tylenol, but these still contain artificial flavors. Belladonna 6C is a homeopathic fever reducer (health food store or WF). For young kids, take 2-3 pellets. 9. To treat strep and other viruses, you can use Olive Leaf Extract (OLE). Check the Internet for proper dosage. We don’t usually get strep, so we haven’t used it yet. 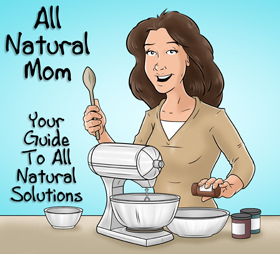 “All Natural Mom’s Guide to the Feingold Diet” e-book will be out in March, 2013! Posted in Feingold Diet and tagged Feingold and GFCF Recipes. Thank you so much for posting these. I'm from the GFCFkids group and saw your post about these recipes. I'm a little confused about some of the recipes – I see tomatoes and I see apples; both taboo on the Feingold diet. Or at least Stage 1. Hi Marie. Yes, many of my recipes are stage 2. Thanks for pointing that out. I thought I had a quick note about that up at the top, but I don't see it. I just posted a copy of the recipes that we use in our house. If you are a member of Feingold, they have lots of stage 1 recipes on the recipe board. We have been on Feingold for almost 6 years. The first 6 weeks, you go strictly stage 1, then after that, you can add in stage 2 foods, and see if your child reacts. My children do react to apples and most stage 2 foods, but hubby and I don't. 🙂 Some of these recipes I would use for dinner parties or holidays. I do occassionally let my kids eat some stage 2 foods, but it is usually over the summer or on a Friday when they are not in school, and then I am just prepared for the reaction they might have. My younger son will be more aggressive and my daughter will get emotional. My older son will develop tics (his current one is tapping his fingers on his desk and blinking hard). I just wanted to say thank you for this guide. I am looking at the Feingold Diet for my daughter. I want to do a test run first and gauge the response. These are wonderful and simple to test. I am just starting over again on this journey with a 5 yr old son who's been diagnosed with ADHD, ODD and PSTD. They are doing further testing for Ashberger's currently. My 21 yr old son had the same issues and I was meticulous about his diet and it DID work. WOW have things changed since the early 90's!!! I have so much to learn and re-learn! I am thrilled to see this being more openly accepted and best yet, BELIEVED!!! I have no clue how I got to your blog honestly, but I can't begin to tell you how valuable this will be to us. THANK YOU!!! Can anyone help me with a kid who is addicted to chocolate milk? Is the a mix that I get that is feingold approved? You can try adding some chocolate syrup to regular milk – whole milk, not skim. Whole Foods or a health food store would have some. We have Santa Cruz Organic Chocolate Syrup in the fridge right now. Or just old fashioned Hershey's cocoa – Natural Unsweetened. There's a recipe on the side for hot cocoa. You add sugar and vanilla. Would probably be the same for regular chocolate milk, but maybe without the vanilla? They might have a recipe on their web site. If he doesn't like the change at first, just have him go without any chocolate milk for a few days till he forgets what the old stuff tasted like. He'll be happy to have any chocolate milk when you reintroduce it. Good luck. Very nice post. I simply stumbled upon your weblog and wanted to say that I have truly loved surfing around your weblog posts. After all I’ll be subscribing to your feed and I’m hoping you write once more soon!